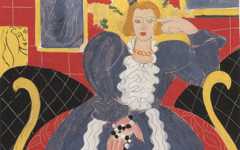 In his 2001 book on Matisse's portraits John Klein observes that Matisse did not project his personality onto his sitters but that "he saw his sitters as members of the groups that were most important to him." 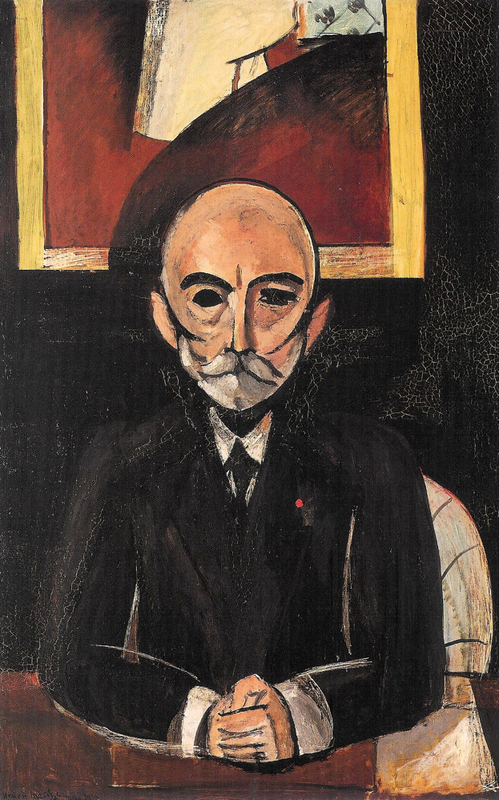 Klein observes that in Matisse's portrait of the businessman Auguste Pellerin the artist did not imagine himself as the man of commerce but that Pellerin's status as an art collector (with important paintings by Cézanne and Renoir) must have appealed to him. 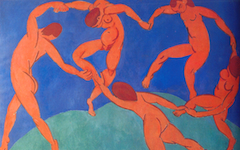 He concludes, "Matisse did not want to be like Pellerin, but he wanted some of the same things Pellerin wanted and by virtue of his wealth and drive had accumulated. "1 It is a cautious way of saying: Pellerin represents the artist. 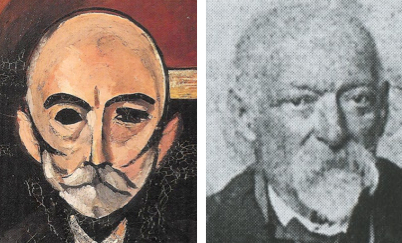 Later on Klein notes that while Pellerin did not seem to like either of the two portraits Matisse painted of him, the second (and now more famous) looks strikingly like Cézanne in old age. 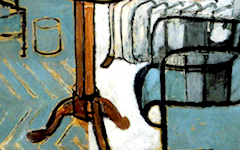 We cannot know, he again adds warily, whether Pellerin actually resembled Cézanne, whether Matisse made him resemble Cézanne or whether the resemblance was coincidence.2 Yes, we can: it is surely not the latter. One great artist's identification with another is so strong and so common that many have projected the image of an earlier artist onto their portrait sitters, as can be seen in articles under the Theme Artist as Other Artist. Note too that Pellerin proudly wears the red rosette of the Légion d'Honneur, an honor Manet famously desired his whole life until finally being granted it as he awaited death. References to the honor occur throughout Manet's art, references Matisse would have known.4 It thus seems likely that Matisse's Pellerin-as-Cezanne is, in a slightly more complex way, a reference to Matisse-as-Manet-and-Cezanne. 4. See as two examples Manet's The Suicide and Croquet at Boulogne. Other paintings by Manet that make reference to the honor will be added shortly. Original Publication Date on EPPH: 10 Oct 2011. © Simon Abrahams. Articles on this site are the copyright of Simon Abrahams. To use copyrighted material in print or other media for purposes beyond 'fair use', you must obtain permission from the copyright owner. Websites may link to this page without permission (please do) but may not reproduce the material on their own site without crediting Simon Abrahams and EPPH.